Expansions were provided on DVDs until the first expansion in the United States and at least the third expansion in Europe. After that, all retail copies came with download codes. Digital Deluxe and Limited editions. 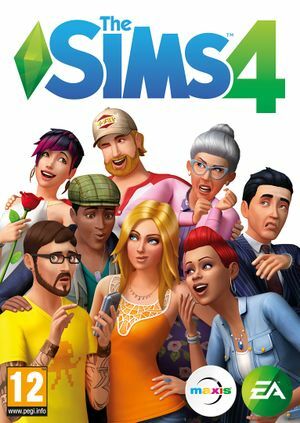 A Sims 4 Create A Sim Demo is available. Upgrades the base game edition to the Digital Deluxe edition. Also includes a copy of the soundtrack. Included with Origin Access Basic. Game pack. Included with Origin Access Premier. Stuff pack. Included with Origin Access Premier. Free. Can be obtained by signing up for the newsletter. No known issues as of yet. UI wont scale, see DPI Scaling. FPS cap defaults to 200, see Frame rate limit to adjust the cap. Find the key frameratelimit and set the value to your preferred max fps. Find the key uiscale and set the value to (your dpi - 100). You will notice that a lot of icons will look blurry. Can be remapped with tools such as AutoHotkey. The script/tool must be run in Administrator mode. Time stops on focus lost (no sound while time is stopped). Run the game in Windows 8 compatibility mode. This page was last edited on 12 March 2019, at 03:51.